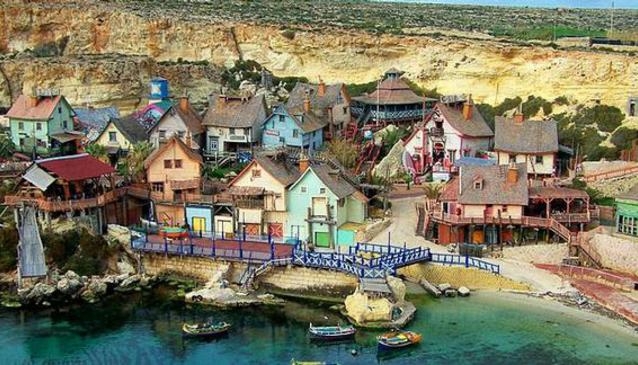 Popeye Village is at its best in summer when you can also enjoy the lido, boat rides around Anchor bay and a splash pool for kids. 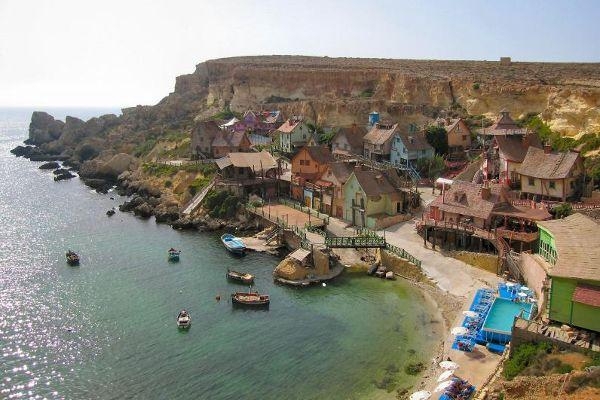 This is the original Film Set of the 1980 musical production 'Popeye' in which Robin Williams plays a starring role. 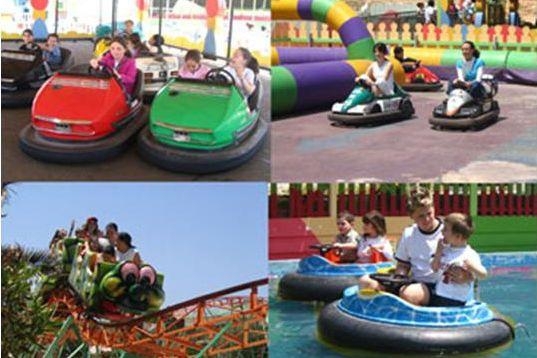 Since then the place has been transformed into a year-round amusement park for all the family. 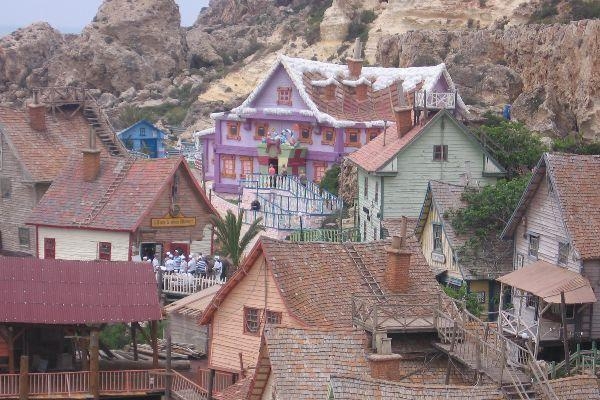 Sweethaven village is an all-wooden structure made to resemble a tiny village with a 1920s look and feel. Its various houses are home to a variety of attractions from Santa's toy town to a winery with free wine tasting. 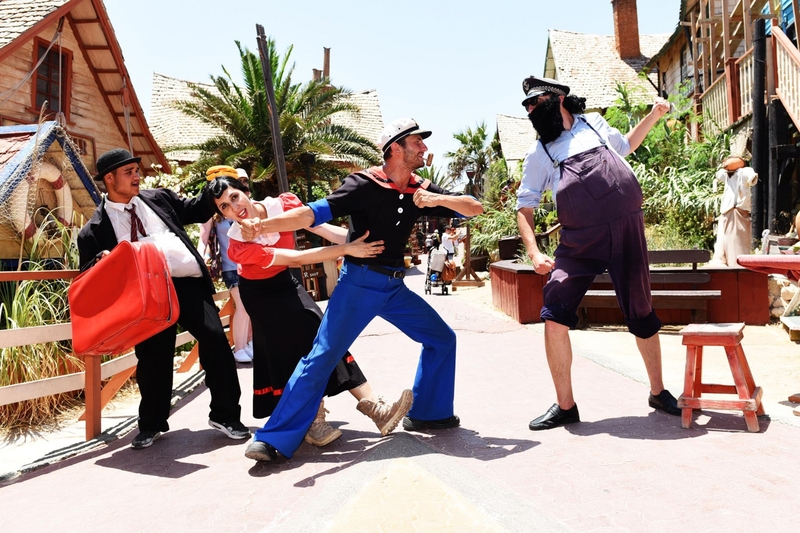 Popeye's Village is really a place for all the family. You can even star in your own film and take it home with you. Cartoon characters and the resident animation team will make sure to keep the kids happy. 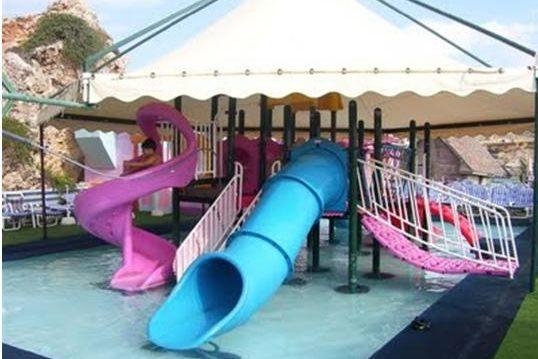 There is also a jump-around adjacent to the restaurant and a small fun park with great rides for the children. 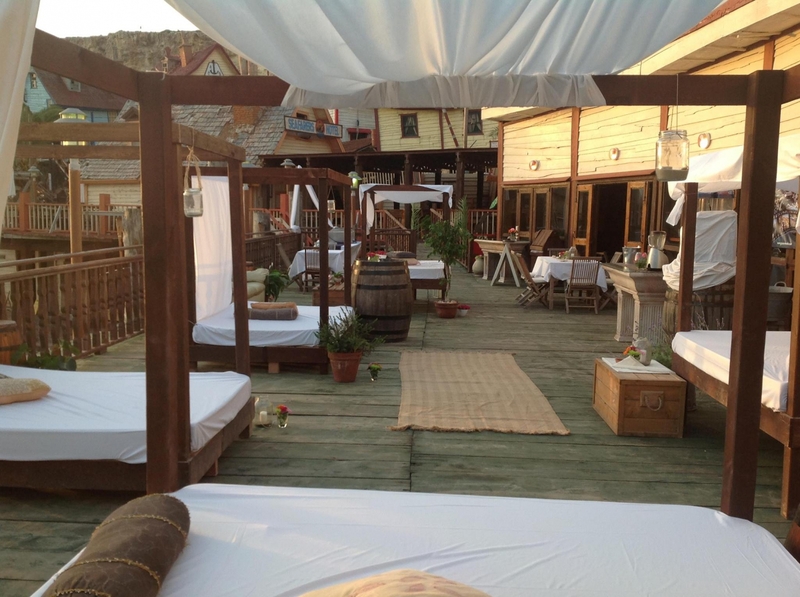 It is also recommended to prolong your stay in the summer and enjoy the evening open-air barbeques. The summer season inevitably brings with it more attractions with water trampolines, sun bathing decks and a beach lido. 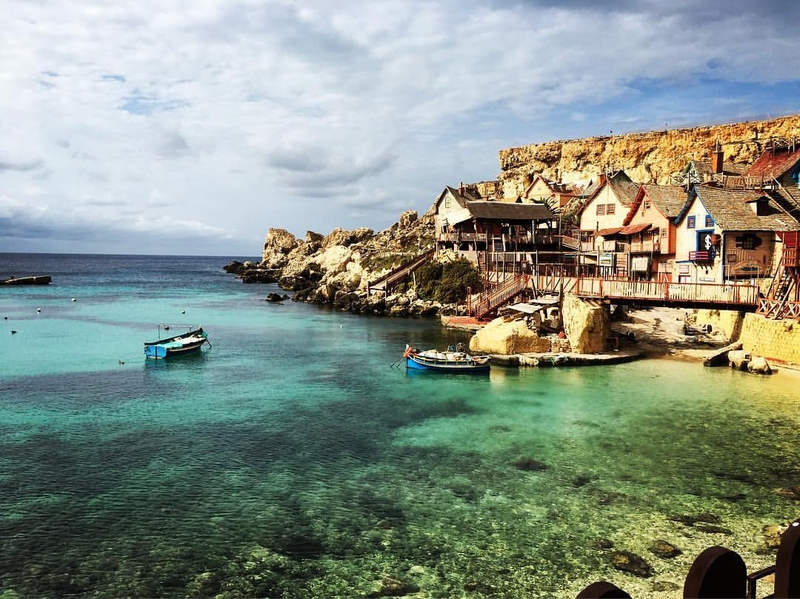 The beautiful Anchor Bay that the Popeye Village is located in serves as a suggestive and dramatic backdrop...especially when seen from the free boat ride included in the day's package. 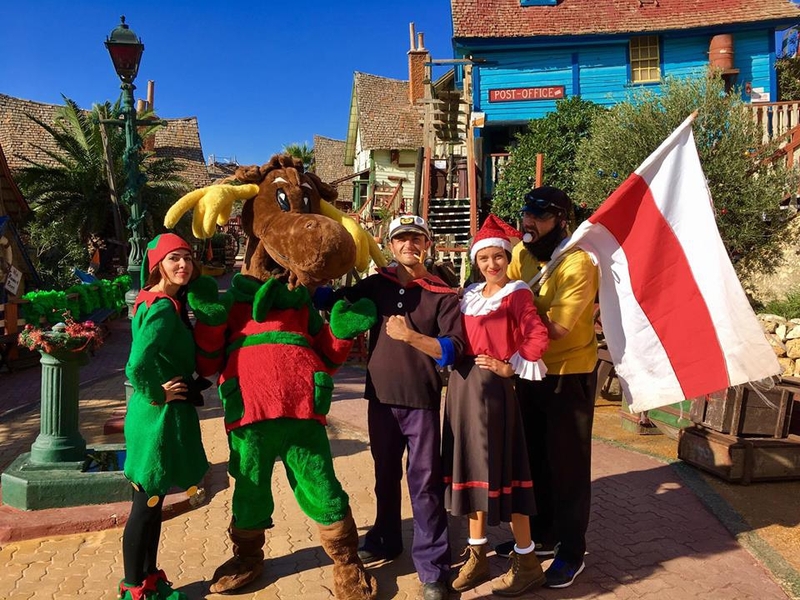 In Christmas, Sweethaven village takes over a completely festive feel with lovely lighting and Santa's Toy town transporting the children to a magical world of elves and toys. Whatever the season, an overall great day out for the family. And remember to stop by at the souvenir shop on the way out. 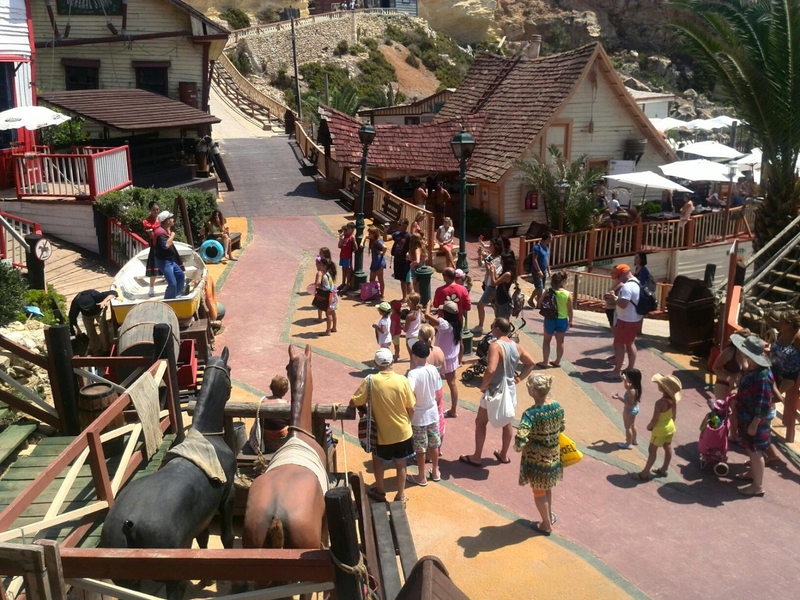 Popeye village is also a great venue for parties, games and incentives of all kinds. 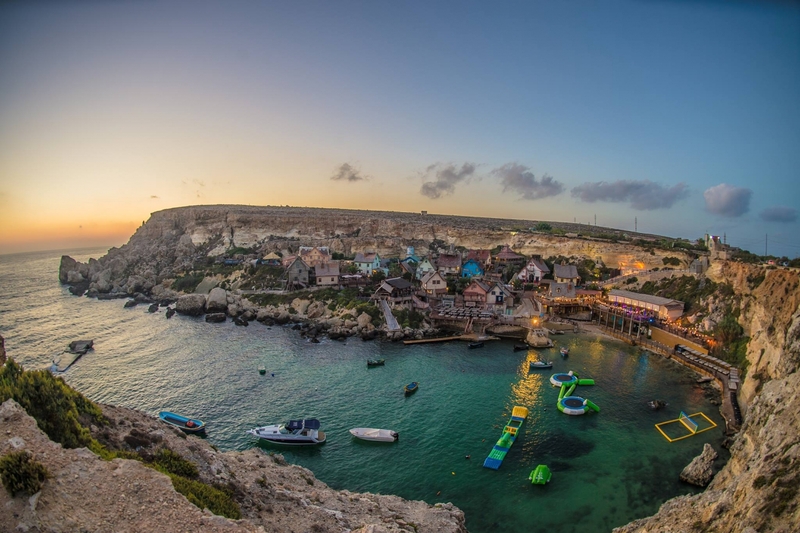 Have the Fairytale Wedding you have been dreaming about at a location so unique you and your guests will remember it forever...only at Popeye Village...where we make your dream day a reality. We can understand that it is not as easy to find the most suitable location for your wedding, especially if you are looking for a place that offers: originality, character, flair and something different from the norm. So, we are offering you a set, a complete village as the back drop for the wedding that you have always been dreaming of. 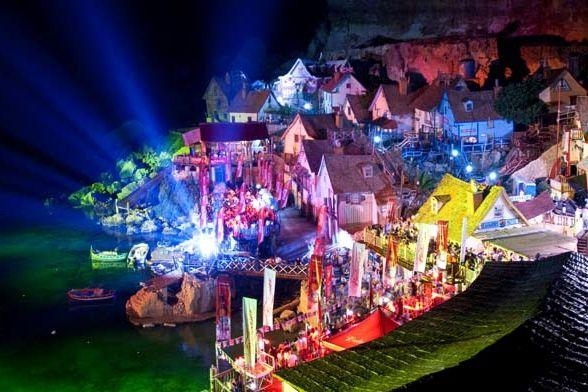 The film set offers a number of spots around the village according to the number of guests.